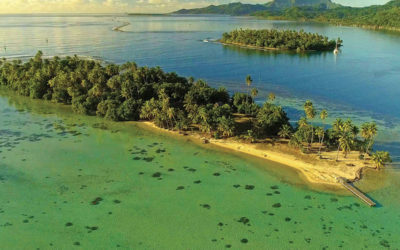 Open since October 1, 2014, the delightful fare d’hôtes “La Perle de Tahaa” enjoys an idyllic setting on the island. 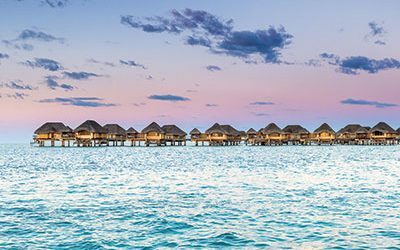 Located on the lagoon side and facing the coral garden, you will spend a quiet stay in one of 7 bungalows, tastefully decorated in the Polynesian style. Each unit offers a fully equipped kitchen, a private bathroom and a deck with a dining area. Archipelago bungalows can accommodate up to 4 people. For your convenience, you have the option of breakfast to be served on your terrace. You can reserve lunch and / or dinner later on if you so desire. Theme nights are regularly held and every Friday, enjoy a Polynesian evening with traditional dances and local culinary fare (Maa’a Tahiti from a real Tahitian oven). As for activities, the choice is between the discovery of the lagoon and the coral garden by boat or kayak. 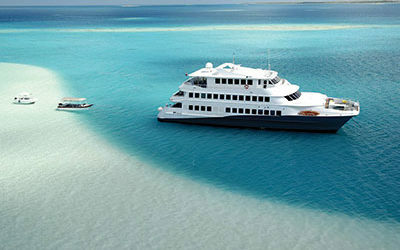 Otherwise a bike ride on the island of Tahaa, a visit of a pearl farm, a jet ski ride, or a fishing excursion. One thing is for sure, there will be something for everyone. And not to miss the sunset on Bora Bora, set up on the deck with a cocktail in hand … the simple joys are the best!